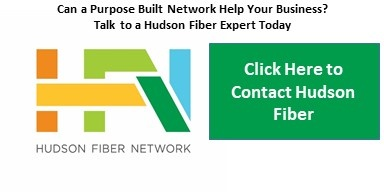 How your fiber network will build your industry leadership? delivered through the HFN purpose-built network model. Higher performance. Higher security. Higher value. Medical decisions made in split seconds require exact, immediate and secure data exchange. Instant access to critical information, transfer of massive imaging files, realtime networked resources, all meeting complex and evolving regulatory compliance requirements depend on your network performance. HFN designs your network to seamlessly, securely and cost-effectively deliver the reliability and scalability you need to transform healthcare and save lives. HFN designs and delivers network solutions for regional, national or global service providers. Our assets, infrastructure and market intelligence enable you to deliver the best performance and connectivity portfolio seamlessly. Partner with us to better return on your investment, reduced CapEx and cost of deployment, last mile customer access and market-leading ultra-broadband connectivity between key network aggregation points. Leverage our network capabilities to achieve cost-efficient solutions for your business through our ubiquitous coverage of major data centers and high-connectivity demand buildings in the New York Metro Area and beyond. Reducing latency is the business edge that high frequency trading companies need to compete and prosper. Just a fraction of a second gives you the competitive advantage that can be the difference between winning and losing. Upgrade your network to make it a strategic asset that delivers critical revenue-driving solutions, secure hypersensitive information, manage regulatory compliance, and protect your reputation. HFN applies over 15 years of experience working with leading trading companies to reduce latency through purpose-designed network solutions. HFN has the assets and intelligence to help federal, state and local government organizations leverage best-in-class network solutions to support a wide range of their requirements. From connecting key facilities to protecting mission critical data, optimizing cross-department workflow operations, improving transportation systems, accelerating emergency response capabilities, we design high-performance networks and deploy the right technology to optimize your infrastructure. Education organizations reputation is driven by the ability to seamlessly scale technology requirements — and costs — dynamically in relation to their faculty and students’ demand. Increasing the efficiency of service delivery leads to faster results, better recruitment, simplified sharing of resources for maximum efficiency at lowest cost. HFN helps you derive maximum business value from networking solutions, IP-based services and cloud computing, while minimizing business risks associated with your network performance. HFN provides best-in-class high capacity services that maximize uptime, quality and security in media workflow required by New York’s leading media and entertainment companies. From studios to post-production facilities to live broadcasting, we deliver robust and secure network assets to support your media and entertainment business from its core to the world. We design dark fiber and private network solutions to deliver files and traffic, providing maximum bandwidth access, the utmost in scalability and cost-effective reach with the highest levels of data security.